There are two truths to music and arts festivals these days. One is that they break you away from the mundane when you really need it to be anyone you want to be for a solid 48-72 hours. 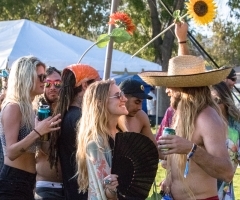 The second is a little less uplifting and it's that fests – especially in southern California – are becoming a dime a dozen, with so many to choose from lining the events calendar and ads clogging up your Instagram feed. How to decipher which are worthy of your time (and hard earned cash)? That's the dilemma. Luckily, some festivals are starting to pivot to not only meet the needs of music-loving escapists everywhere, but to also bring forth less orthodox activities to enjoy. Same Same But Different is one of those fests. 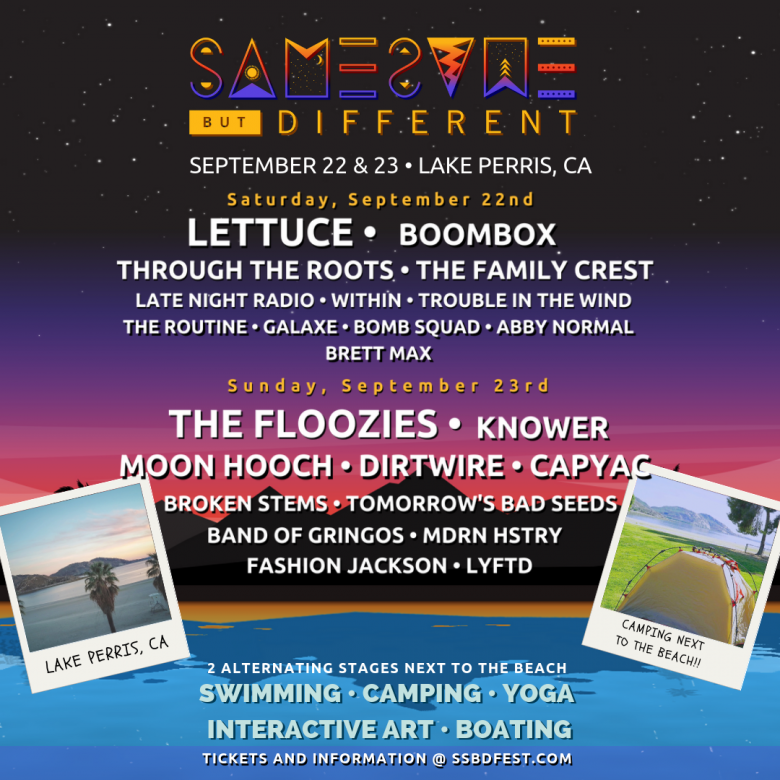 Same Same But Different Festival (SSBD) spans two full days at Lake Perris in California, a watery oasis in what's commonly refered to as SoCal's Inland Empire, this upcoming September 22nd and 23rd. It's got music (same), but a lake though (different), thus true to its title via location alone. Most festivals would use the lake as a backdrop, you know, some tropical scenery to match the laidback vibes of reggae-rock music. 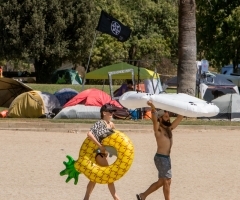 Well, with early autumn temperatures still sky high, SSBD encourages attendees to jump in for a dip or go boating to beat the heat while the music plays on the two stages by the water. Speaking of stages, there's a vendor village, something called "The Sanctuary" and interactive art by local artists situated in between the Same Stage and the Different Stage – both of which proffering a stacked lineup from start to finish. 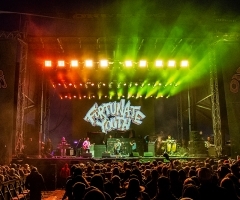 Funky fresh headliners Lettuce and The Floozies close down the Same Stage each night, with direct support from Within, The Routine, Knower, Dirtwire, Tomorrows Bad Seeds, Trouble in the Wind, Brett Max and Band of Gringos. A strange mix, all with the same high-level stage presence to keep the groove going. 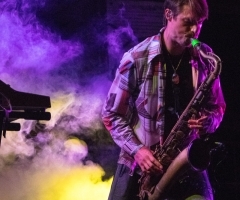 The Different Stage hosts a myriad of musical genres as well, with the likes of Moon Hooch, Through The Roots, The Family Crest, Capyac, Bomb Squad, Broken Stems, MDRN HSTRY, Galaxe and Fashion Jackson. On a good one and need even more? SSBD wants to push the party well into the night with after-hour sets ('til at least 1am) by Late Night Radio, Lyfted and Boombox both Saturday and Sunday nights! Don't worry, whatever you ingest at night, you can sweat out in yoga in the morning. Not a late night rage machine? SSBD let's you camp onsite just so you can make your own bedtime, 100% free with every general admission ticket. Wait... FREE?!? Yes, free. Add that little anecdote to the 'different' list and double down with only $40 for car camping too (limited to first come, first serve). RVs are welcome although a spot must be purchased on top of your entry pass. Want to glamp, but aren't baller enough for your own RV yet? Millennials, SSBD's got you with RV rentals for a surprisingly low price of only $850 for the weekend. That's as much as VIP for most fests! Speaking of VIP, for once, it's general admission only; everyone is a very important person, so let's all have the same same experience together. Weekend passes are still only $125 per person and single day tickets run $70 at this point in time. With the festival this upcoming weekend, you best grab your tickets while you can! For more information, visit www.ssbdfest.com.